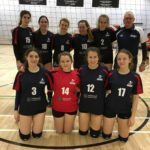 Ashcombe Volleyball Club have joined with Dorking Volleyball Club in the season 2017-18 to play 2 teams in the Surrey Womens League ACDC 1 and ACDC 2. Thursday 14th December ACDC 2 Ashcombe Volleyball Club 7.30.p.m. Thursday 29th March Guildford Mistral Ashcombe Volleyball Centre 7.30.p.m. BA Jets Ashcombe Volleyball Centre 7.30.p.m. Thursday 14th December ACDC 1 Ashcombe Volleyball Club 7.30.p.m. ACDC 1 Ashcombe Volleyball Centre 7.30.p.m. 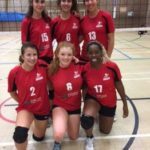 BA Jets Ashcombe Volleyball Centre 12.p.m. 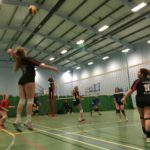 "Ashcombe Volleyball Club is committed to driving forward the standard of volleyball and to increasing public awareness and accessibility of volleyball for all, in whichever capacity they wish to participate, be is as a player, coach, referee or spectator." Developed by Verstech Limited in the United Kingdom.